Between Paul Anthony and I, we have so far reviewed all the Nub mainstays save for the Cameroon. Not having any of these in stock, I thought I’d just straight for one of their limited edition offerings that Paul gave me during my last visit. This was a generous box of the Nub Double Maduro otherwise referred to as the “Nub Dub” by the cigar community. A lesser known Nub cigar, it is also a cult classic and a favourite among many veteran cigar enthusiasts. As you’ll learn in the dedicated guide to the brand, Nub Cigar is a hugely popular cigar range by Oliva. Due to its popularity, Nub has effectively become recognised as a brand apart thanks to its mastery of the Gordito cigar vitola. The Nub Dub is the brand’s second instalment in a series of limited edition releases from Studo Tobac, Oliva’s creative branch. On the surface, it uses the same ingredients as their regular Nub Maduro, which consists of a Cuban Seed Nicaraguan filler, Nicaraguan binder and Brazilian Maduro wrapper. However, the Nub Dub features a second layer of maduro wrapper as the leaf has been wrapped twice around the cigar. As such, you may be expecting a more intense smoke. Nevertheless, you’ll discover shortly that this isn’t necessarily what you’ll experience from the Nub Dub. Visually, the Nub Dub bears something of a resemblance to its older cousin, the Nub Maduro. However, the Nub Dub wrapper has hints of copper in its hue whilst the Maduro is closer to dark brown. I’d liken this to a dark and full-bodied espresso rather than dark chocolate as I did in the Maduro review. As for the rolling consistency, you can expect the same level of quality as with other Nubs. Its very even with a firm spring when pinched. There are stretches of visible vein whilst it feels smooth and oily to the touch. In terms of aromas, there’s much less ammonia than the original Maduro with a greater accent on dark chocolate. There’s also some hints of leather as well as roasted coffee beans. Like our other cigar reviews, a few were smoked before we put the proverbial pen to paper to write this article. Since these are hand-made products, we find that it’s important to try several in order to identify its consistencies as well as any anomalies. A quick dry draw after cutting reveals little resistance like most Nub cigars. In terms of aromas, it’s just as gourmand as the original with notes of dark chocolate and musky copper with a final note of vanilla. If this sounds familiar compared to the first one, that’s because it is! However, it’s slightly deeper and mellowing without being any more intense. Being the thicker 466, this was harder work to get going than the 460! However, once I got there, I was presented with a beautifully glowing ember. The first plumes produce a lot of smoke and the retro-hale is quite intense. After a few draws, the Nub Dub’s intensity becomes more rounded and the flavours begin to balance out. Interestingly, you can feel the sheer intensity begin to tame itself into flavour with every draw throughout the first third. After just under a centimetre of ash, the smoke cools dramatically and the notes become more identifiable. On the palate, there are notable aromas of dark chocolate and a bitter yet coppery espresso. As for the retrohale, I could pick out charred oak and musky earth. There are also some spicy aromas but they are hard to confidently identify at this point. By the second third, the Nub Dub has provides a very subtle and smooth bouquet. The overall body is much closer to the medium than full mark and it’s not at all intense. The aromas of chocolate and espresso have more-or-less subsided in favour of the charred oak from the first third that has developed a longer finish. Meanwhile, an accompanying leathery labdanum note has developed, which leaves a fine layer on the tongue. As for the retro-hale, it reveals a slightly sweet flavour of liquorice root with a hint of black pepper. Once well into the final third, the notes have mellowed into a somewhat peppery and more intense bouquet compared to the second third. Although this isn’t particularly surprising, it’s interesting to note how the smoke has evolved from a remarkably modest Maduro to something much more full-bodied towards the final third. As is equally expected, the notes are something of a caricature of the previous thirds yet newer notes have come into play. Whilst the charred oak has remained constant, a new walnut note has revealed itself along with a warm and slightly sweet cedar aroma. Meanwhile, the retro-hale is quite spicy and the intriguing liquorice root has developed in character to incorporate echoes of spiciness. Those familiar with Nub cigars know just how strongly the ash clings onto the cigar. The Nub Dub is no exception but is even a testament to this compact and densely rolled construction. I found that each Double Maduro I smoked gave me an excellent stack, which provided a few cool smoke overall. As for the burn angle, it started of as somewhat wavy but would straighten out once well into the second third. In terms of draw, this was consistently faint throughout the smoke. Interestingly, the Double Maduro is a much longer smoke than the original and the final time it was enjoyed came to around a whopping 80 minutes. This was quite surprising given that other Nub cigars tend to be much briefer. With its bold yet subtle flavours thanks to the medium to full body, the Double Maduro is very enjoyable with characterful accompaniments. I actually enjoyed the one smoked during this review with a Venetian espresso my neighbours bought me after their vacation in the historical Italian city. The award-winning artisanal blend was Miscela del Ghetto from Torrefazione Cannaregio, which had deep notes of chocolate that accorded perfectly with the Nub Dub’s character. Otherwise, you could consider pairing it with a very mature and dark rum or even a particularly smoky single malt Scotch. I’ve even heard of people smoking Nub Dubs with a stout or porter, which although isn’t my thing, I can see being a very harmonious experience. Only available in smaller boxes of 10 cigars, the Nub Dub is a special little stick. Like other Nubs, the box is an understated crate-like construction with a lid that slides off. Because it’s smaller than other Nub boxes, I find it more convenient and easier to repurpose for more practical use around the house. As for the band, it’s in the exact same style as style as other Nubs to ensure consistency. The background colour is a much darker brown than the regular Maduro and like their other bands, it’s very easy to remove. Finally, the Nub Dub is slightly more expensive than other regular Nubs, which is to be expected. However, a quick search online shows that they’re only more by about a dollar each. Nevertheless, they’re rarely available in singles and you have to take the plunge in buying a whole box or at least a sampler. Yet since the boxes consist of only 10 cigars, it’s less of a burden on the wallet. When Should You Smoke A Nub Double Maduro? Like any Nub cigar the Double Maduro is very convenient and its easy to carry several in even the smallest cigar case. This means that it’s perfect for social occasions as you can share several among friends. As for the time of day, the Nub Dub is best enjoyed at some point during the late afternoon or evening. That said, it isn’t as full-bodied as expected. As such, it doesn’t necessarily have to be the last cigar you smoke during the day either. 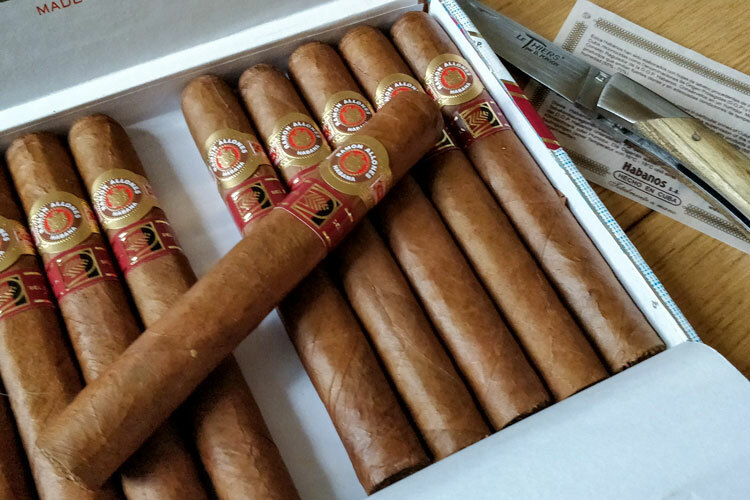 We’ve noted in previous Nub cigar reviews that they’re not the sort of thing we’d take with us to formal gatherings due to their unusual size and shape. However, the Nub Dub is an excellent cigar and a great conversational piece. Overall, we’d say that this is an ideal cigar if you want to experience something either casually or semi-formally that has some decent character and a strong backbone. It’s also an ideal introductory cigar for beginners to Maduro wrappers as it’s not particularly overpowering. A unique Maduro cigar, Oliva’s Nub Dub should be tasted at least once in a cigar enthusiast’s lifetime. It combines Nub’s densely-packed filler and compact size to create a memorable experience of a well-woven tapestry of flavours. As mentioned above, it’s not particularly full-bodied for a Maduro either, which renders it an excellent choice for beginner’s and seasoned enthusiasts alike. Whilst it shares some traits of Nub’s original Maduro cigar, it’s an altogether different and more extended smoke so worth trying if you’re already a fan! Reviewed by Charles-Philippe, on 23 July . "An ornate and complex Maduro. The Nub Dub is a unique cigar that's worth trying whether you're a fan of the brand or not!" Where did you buy these? I can’t find them. I bought these from my local cigar shop (Holt’s in Philadelphia). If you local shop stocks Nubs, maybe ask and see if they can special order some in. You won’t be disappointed! Thanks for bringing these to my attention! They’re just the type of stick I’ve been looking for and I’m already quite fond of the odd Nub! Great to hear from you and no problem. 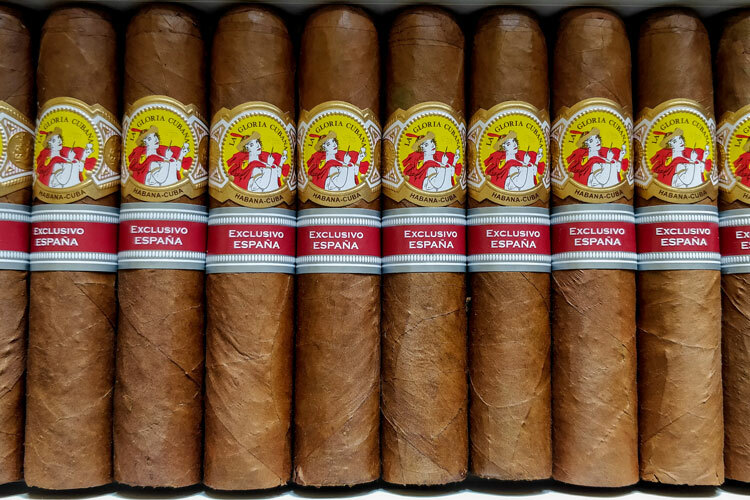 They’re excellent cigars and certainly worth a try! I’d say that they’d go quite well with a Laphroaig Cairdeas following your comment there!